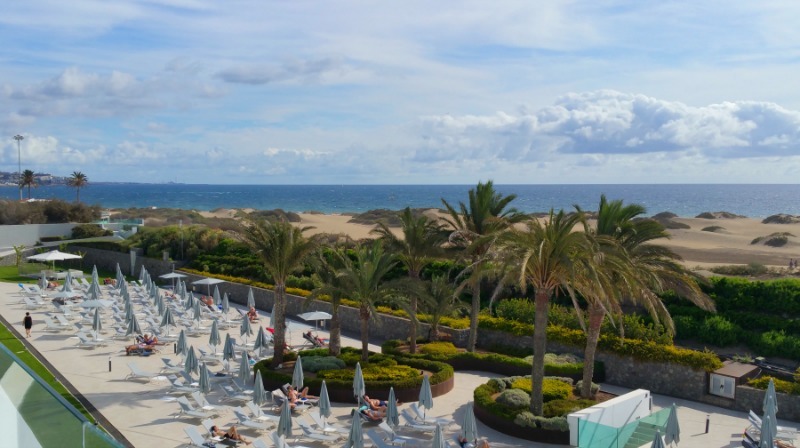 One of the best locations Playa del Inglés - directly at the sand dunes. 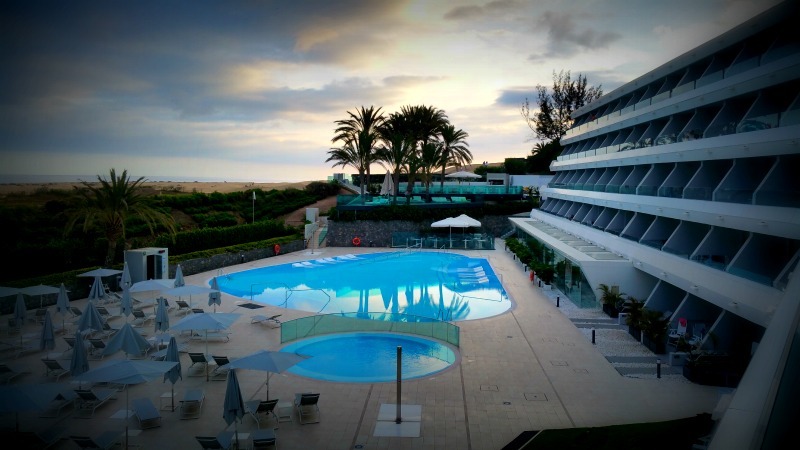 The Hotel Santa Monica Suites is situated, in what is arguably, one of the best locations in Maspalomas. 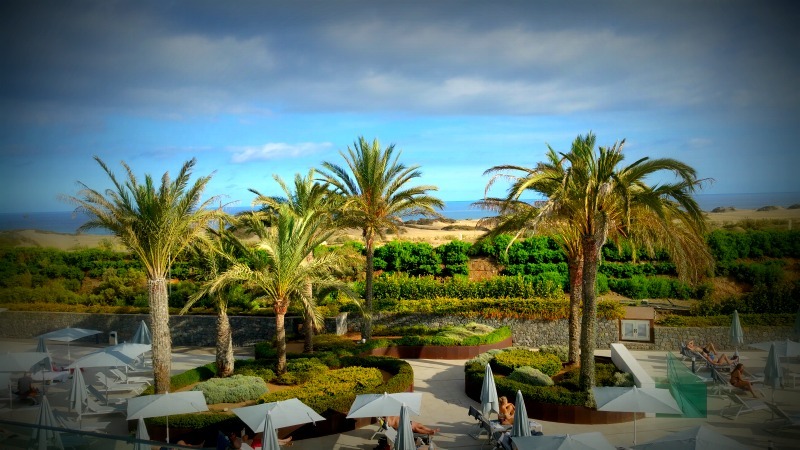 It is located directly at the sand dunes of Maspalomas, the only hotel at dune side of the Playa del Inglés beach walk. 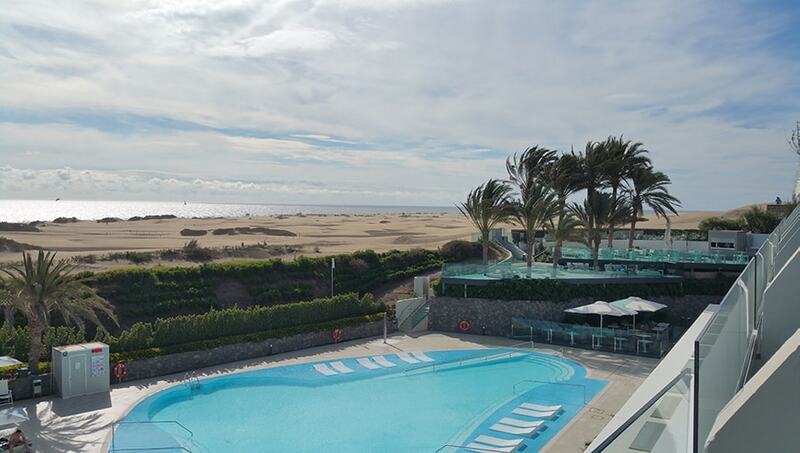 To be exact the only hotel at the beach side of the beach walk all the way from San Agustín to the Maspalomas view point. Providing it not only with a unique location, but also with the most breathtaking views imaginable. The Hotel Santa Monica has had a full refurbishment in recent years. Making it one of the most select hotels in the area. Immediately, on entering we were impressed with the hotels modern and fresh decor, and the professionalism of the reception staff. As we said, the hotels location provides amazing views, none more so, than from your suite balcony. 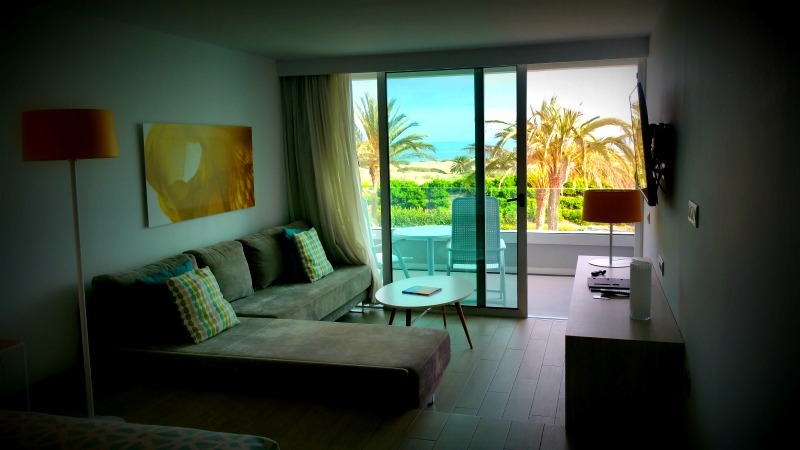 All rooms face the ocean and the dunes. They are flooded with light, yet cool and fresh. Our suite was open-plan and split level, making the lounge area feel very cosy. We found the bed extremely comfortable, with crisp bedding and great pillows, all allowing for a good nights rest. 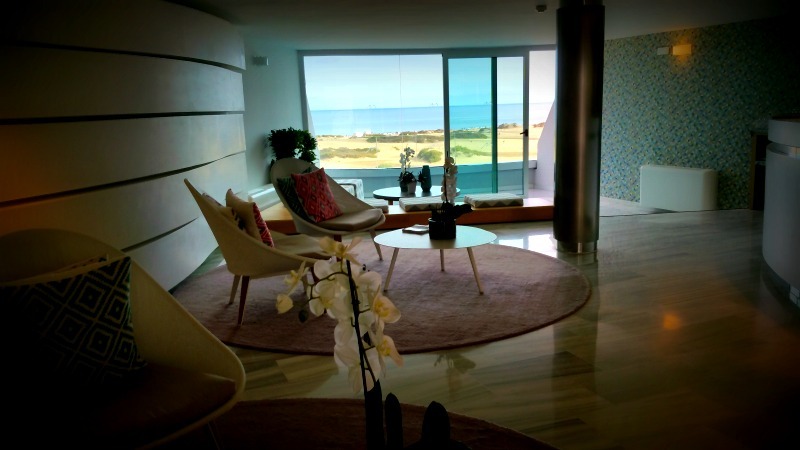 The soundproofing in the rooms deserves a mention – it is superb! The bathroom was modern, exceptionally clean and the rainfall shower a wonderful luxurious addition.